The Coat of Arms consists of a shield containing a golden lion rampant holding a torch, representing the United Kingdom and discovery. The background of the shield consists of blue and white estoiles, from the arms of James Cook who discovered the islands. The supporters are a fur seal and a macaroni penguin, both of which are native to the Islands. The crest of the shield shows a reindeer, from the two herds found on South Georgia Island. 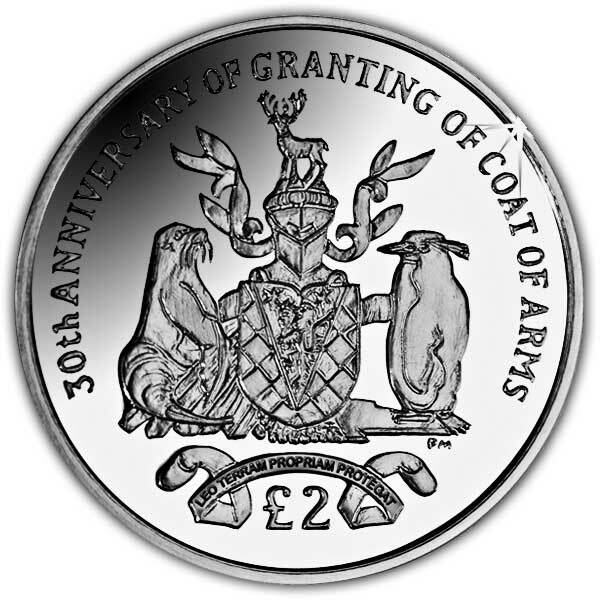 The seal stands on a mountain, while the penguin stands on ice. 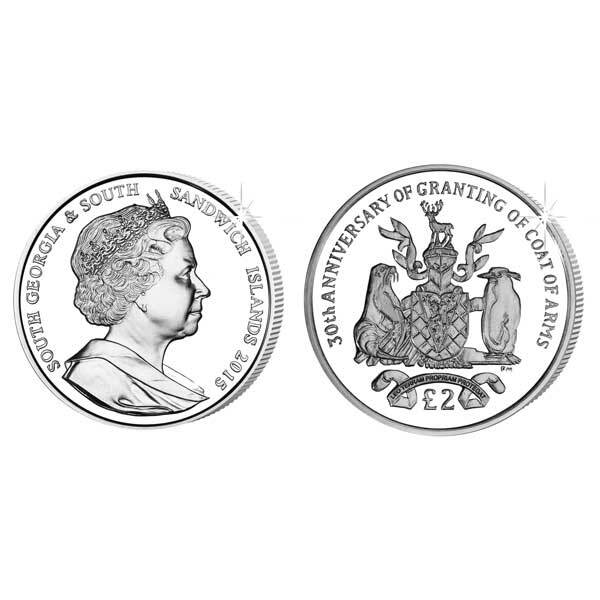 The motto is Leo Terram Propriam Protegat which translates to “[Let the] Lion protect his own land” The obverse of the coin features an effigy of Her Majesty Queen Elizabeth II by Ian Rank-Broadley FRBS. 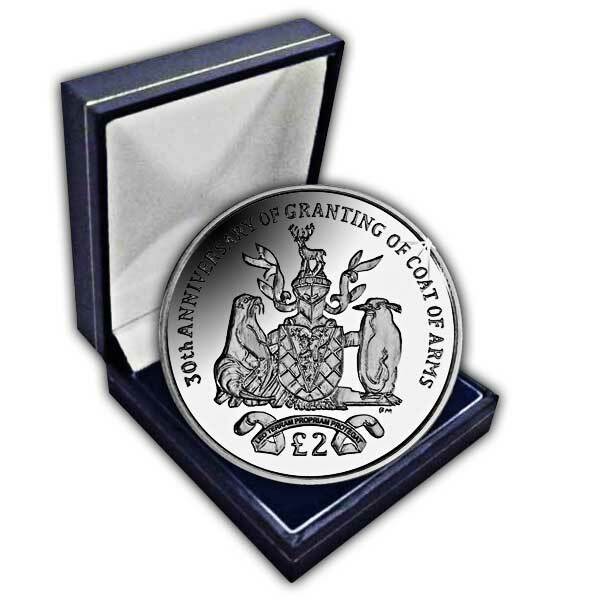 An Excellent coin supplier, fast delivery, competative prices and great communication. Totally satisfied, thank you. My purchases arrived promptly and safely.